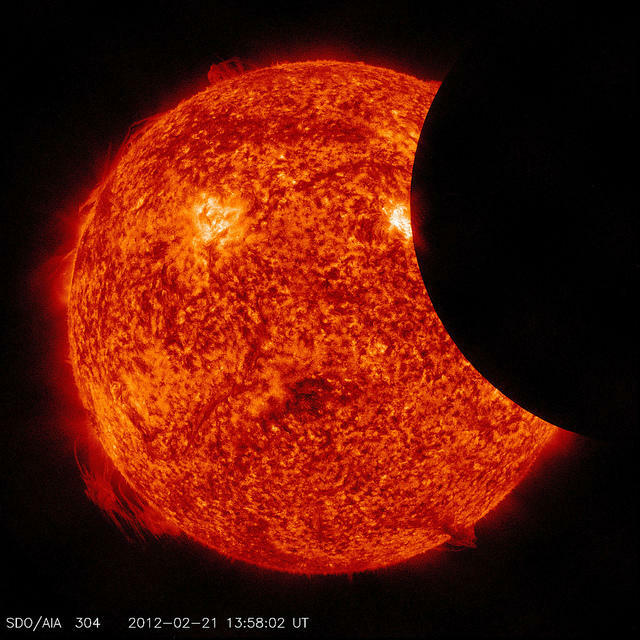 Here’s a partial solar eclipse from space when the moon passed between NASA’s Solar Dynamic Observatory satellite and the Sun on February 21, 2012. 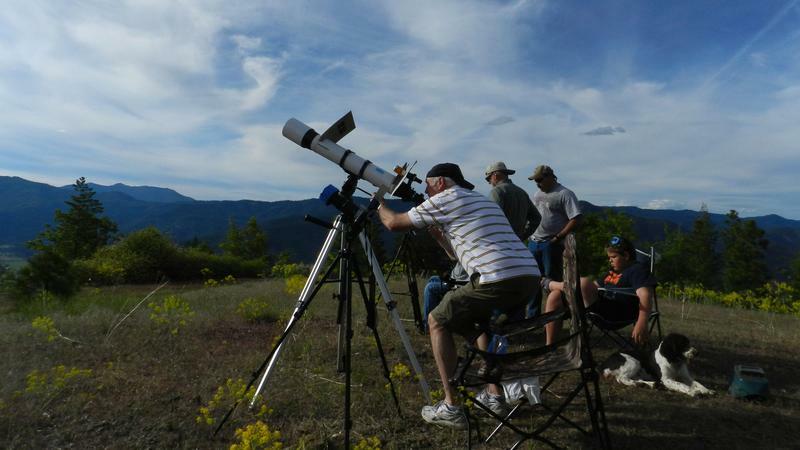 Next August, eclipse-chasers will converge in Idaho and a handful of other states to watch the first total solar eclipse to cross the continental United States in 38 years. The Boise State Physics Department is getting ready with a special talk Friday. Click 'play' to hear the on-air version of this story. The last total solar eclipse that crossed the continental U.S. was in 1979 and it crossed over Northern Idaho. This time, the path for best eclipse viewing will travel through the middle of Idaho, just north of Boise. Brian Jackson is an assistant professor of Physics at Boise State University. He says on August 21 at 10 a.m., the moon will start to pass in front of the sun. “The sky will go almost completely dark, it will look like night. Historically, animals have taken it to be the beginning of the night, a lot of animals begin to bed down, other animals will start to get really confused, and not understand what’s going on, but it will be really obvious that something has happened. The sun will essentially disappear from the sky,” says Jackson. The eclipse will last until 1 p.m. and the darkest part, known as totality, will hit around 11:30 a.m.
Jackson says every few years we have a total solar eclipse, but they usually happen out over the ocean. This one is special. “The last total solar eclipse that crossed the continental United States was in 1979. And that crossed over northern Idaho, so I think folks in Coeur d’Alene might have been able to see it. We haven’t had anything like that in the continental United States since then,” Jackson says. The next total solar eclipse you can see from Idaho won’t be until 2069. People have already booked hotels and campgrounds around Boise to get a good view of the moon passing in front of the sun. Jackson will give a talk Friday at 7:30 p.m. at Boise State about how to safely watch the eclipse next summer. Something called a Ring of Fire eclipse happened last night, but only a limited part of Earth’s population was in a position to see it. Millions of people in Asia enjoyed the rare light show in which the moon blocked all of the sun’s light except a flaming ring. Then the phenomenon moved on to the western U.S., where a handful of cities were directly below the moon’s shadow. Earthfix caught up with the eclipse near the border of Oregon and California.